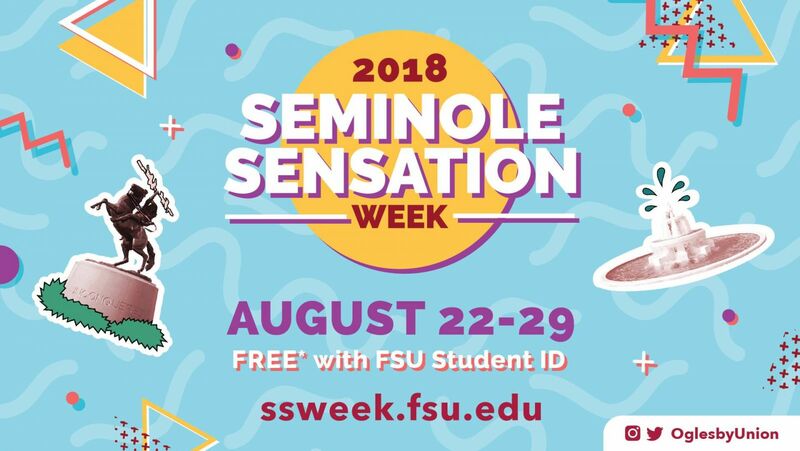 As Florida State University welcomes students back to campus for the fall semester, the university will host Seminole Sensation Week, an annual weeklong tradition, full of engaging events that promote student involvement on campus. Seminole Sensation Week offers students a wide array of campus activities from Wednesday, Aug. 22, through Wednesday, Aug. 29, that help introduce them to a variety of campus organizations and opportunities to connect with other students who share common interests. The highlight of the week is New Student Convocation, which takes place at 1:30 p.m. Sunday, Aug. 26. Mark Riley, world-renowned nuclear physicist, longtime Florida State faculty member and dean of the Graduate School, will deliver the convocation address. The President’s Welcome — a reception for students to meet with their academic dean, faculty, staff and other current students — will take place immediately following Convocation. Both events will be held at the Donald L. Tucker Civic Center, 505 W. Pensacola St.
Other activities offered during the week include movie screenings, comedy shows, trivia contests, video game tournaments and karaoke. All events are free for FSU students with a valid, gold FSU ID. For a complete schedule and event descriptions, visit http://ssweek.fsu.edu/.